Over the past 50 years or so there has been a veritable war on fat in our culture and in that time we’ve also seen a dramatic increase in the rise of illnesses such as CVD, diabetes, Syndrome X, stroke, obesity, and a variety of inflammatory illnesses. One of the contributing factors to the rise in these illnesses is often said to be the reduction in healthy fats and an increase in inflammatory carbohydrates. Often when food companies take the fat out of a product they have to replace it with something in order to keep it delicious and they often rely on sugar or refined carbohydrates to do the job. However, did you know that every cell in our body is made up of various saturated and polyunsaturated fatty acids and that our brain is comprised mostly of fat? Also, vitamins A, D, E, and K are fat-soluble vitamins, meaning they need fat in order to be absorbed, transported, and used throughout our bodies. We also need omega fats, specifically omega-3 and -6 to regulate the inflammatory responses in our bodies. What do you think happens when we drastically limit our fat intake? We become deficient in specific vitamins, we can suffer from brain fog and other psychological issues, our skin isn’t as lustrous, and we may end up with a host of inflammatory conditions such as arthritis or eczema. For those of you not from the prairies, this is what Canola (or Rapeseed) looks like. 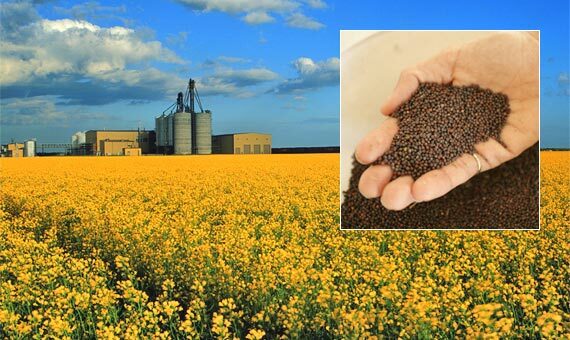 Most canola is genetically modified, which gives you another reason to avoid it! As you can see fat is a pretty important part of our diet and that’s why my intro is much more serious than normal because I’m pretty passionate about correcting misconceptions about fat, specifically saturated fats, which have been perhaps the most maligned fats. However, saturated fats from healthy, hormone- and antibiotic-free animals are crucial for building healthy cell membranes and many saturated fats actually have specific health benefits in the body. Here’s a meta-analysis that found no correlation between sat fat intake and heart disease. 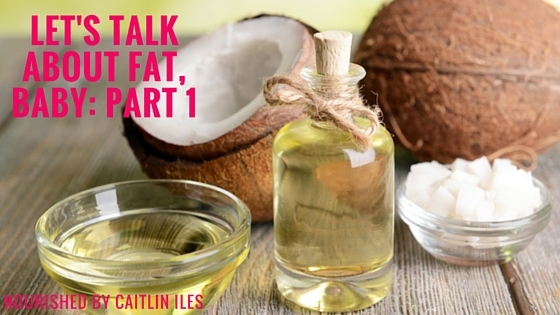 Today I’m going to give you a mini crash course on fats to avoid and why and next time we’ll go over all the delicious and healthy alternatives! First of all, most vegetable oils don’t actually come from vegetables. They come from corn (a grain), soy (a legume), canola (a seed), safflower (a flowering plant, but the oil comes from the seed), cottonseed (I don’t think I need to say what that one is), and sunflower (a seed). These are the most common “vegetable oils” found on the supermarket shelves and marketing geniuses have done a pretty good job at convincing the public that they are in fact heart healthy. These claims are misleading as most of these fats have a much higher ratio of omega-6 to omega-3 fats, which can cause inflammation in the body. Traditionally, nutritionists and scientists agree that we should be consuming these fats in a ratio of about 1:1 to 4:1, with slightly more omega 6 in the diet. However, when we consume huge amounts of vegetable oils that ratio can get as high as 120:1 and thus a favourable environment for inflammation is born. Here’s an image, courtesy of the Elephant Journal, on the steps needed to create modern supermarket oils. First off, I’ll explain the process of hydrogenation after which we’ll get down and dirty with why it’s such a harmful type of fat to consume. The following info is excerpted from Udo Erasmus’s excellent book Fats that Heal, Fats that Kill. 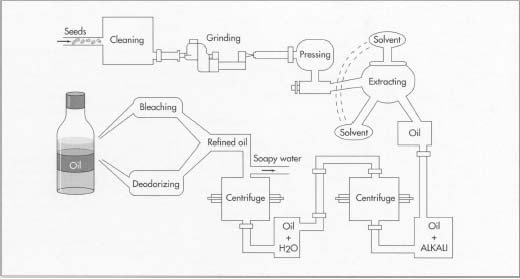 Image courtesy of Cargill (one of the big food processing companies) that shows the hydrogenation process in all it’s disgusting glory. Unsaturated and EFAs are heated to 248-410F in the presence of a metal catalyst, usually nickel but sometimes platinum or copper, for 6-8 hours. Oils react under pressure with hydrogen gas that is added so that all the double bonds in the oil are saturated with hydrogen, to create a spreadable product. The nickel catalyst is usually made up of 50% nickel and 50% aluminum. Remnants of both of these metals are left in the final food product, which we then eat. Gross. Completely hydrogenated fats contain unnatural fatty acid fragments, hydrocarbons, and altered fatty acid products, which can be potentially toxic to the body. Partially hydrogenated fats, which include margarines, shortenings, shortening oils, and partially hydrogenated vegetable oils, are even worse in that they go through the same process, but it is not brought to completion and so the final product contains trans-fats, in addition to many (dozens!!) other potentially harmful intermediate substances. These bastards are virtually unrecognizable to the body and highly toxic. They can increase blood triglyceride levels by up to 47%. High TGs are a predictor of heart disease and atherosclerosis. I could write an entire article on how terrible trans-fats are, but suffice it to say we want to eliminate as much of these dangerous fat from our diet as possible to live as healthfully and happily as possible. Here are a couple excellent cooking and baking alternatives. Certified GMO free avocado oil and organic cold-pressed coconut oil. Yum! So now that I’ve suitably scared you away from these poisonous pseudo-fats, you may be wondering well what the heck do I eat meow? Fear not my friends! There are so many delicious, health-promoting oils out there you’ll never miss these cheap, toxic substitutes. I won’t go into details this post but here’s a list of delicious fats to incorporate into your diet with impunity! Try to look for organic, cold-pressed, virgin, oils. For the healthy nut and seed oils, look for ones sold in an opaque container and always store them in the fridge. Coconut Oil: Great for high heat cooking and baking. 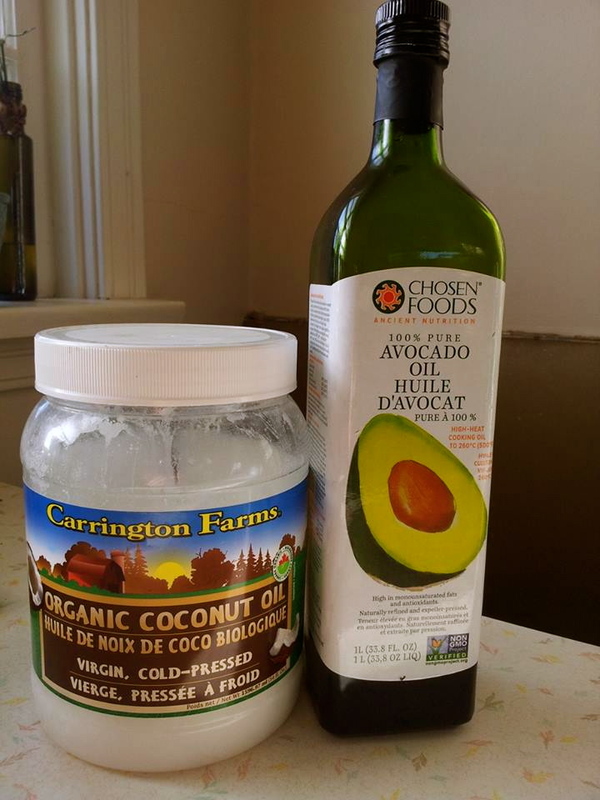 Avocado Oil: Another good one for high heat cooking and quite delicious in salad dressings. Walnut Oil: Don’t cook with this oil as it contains mostly unsaturated fatty acids that are destroyed in high heats. Olive Oil: Delicious in salad dressings and for low-medium heat cooking due to it’s monounsaturated FA content. Cocoa Butter: Delicious solid fat with which to make your own chocolate! (Check out this recipe). My coworker also puts some in her coffee in the morning. Well there we have it folks! My crash course on oils to avoid to promote healthy and happy bodies. In part two we’ll looking at the healthy oils I mentioned at the end of the post. Have a wonderfully whimsical day! I think we should start calling “fats” something else because people associate fats with BEING fat. Great article!